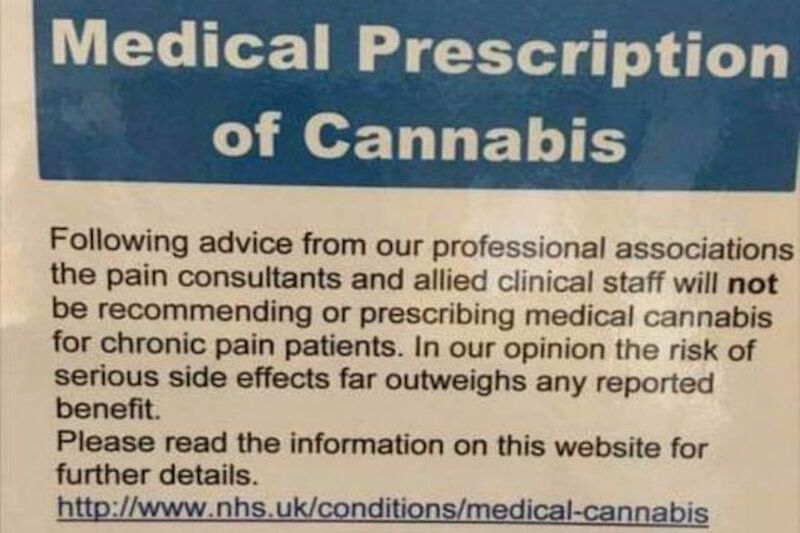 NHS pain specialists are putting up notices in their clinics telling patients not to bother asking for medical cannabis. The move has been made presumably in an attempt to spare specialists the embarrassment of having to explain their actions to their patients face-to-face. 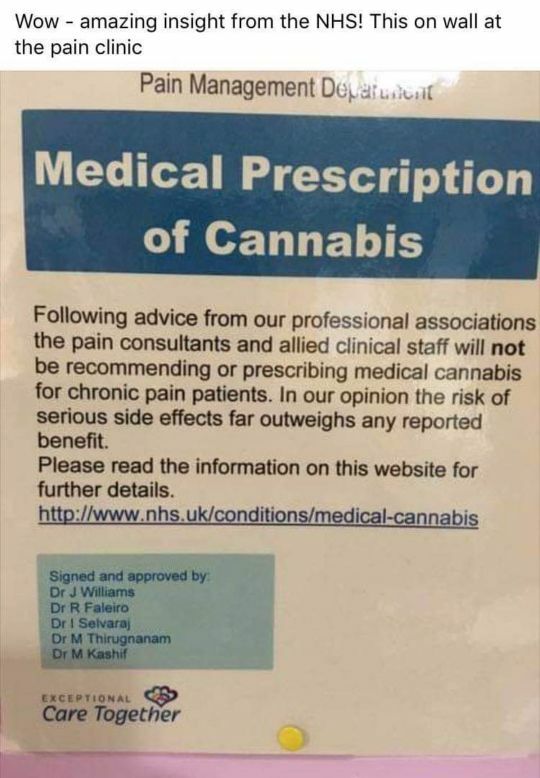 The notice directs patients to an NHS website and is signed and approved by several doctors. “In our opinion”, the notice says. 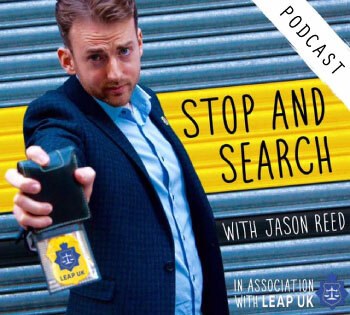 Opinion trumping multitudes of evidence taken from around the world is not exactly the most scientific approach for medical professionals to be taking. 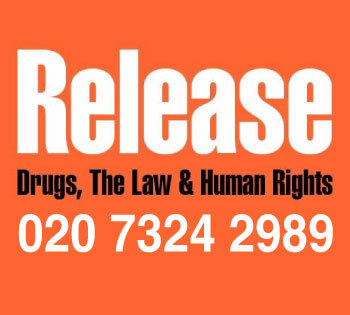 As Californian patient John Calcagni told the Welsh National Assembly this month, “the experiment is long done”. 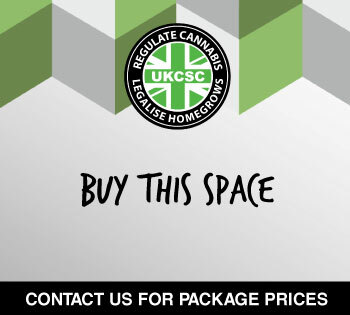 UKCSC chairman Greg de Hoedt commented: “Perhaps doctors in Britain are just more backward-thinking than doctors in other countries, or perhaps they are just more concerned with meeting government targets for saving money at the expense of their patients’ health. Either way the outcome amounts to the same thing. “The pain medications that these specialist pain clinics prescribe on a daily basis to multiple patients consist of Amitriptyline, Gabapentin, Lyrica, Tramadol and Fentanyl just to name a few. These carry significant side effects that include but are not limited to confusion, loss of feeling in limbs, headaches, blurred vision, seizures, nausea, stroke, liver failure, memory loss, vomiting, difficulty urinating, constipation, depression, weight gain, suicidal thoughts. Several even say ‘may cause a heart rate of zero’. Are these not scary side effects that cannabis not only doesn’t cause but is used for to treat? “The hypocrisy is blindingly obvious to the patients who quite rightly feel insulted that their specialists won’t even have a respectable conversation about their healthcare with a medication that is now legal. “These notices are futile because they will not deter patients from demanding their rights. 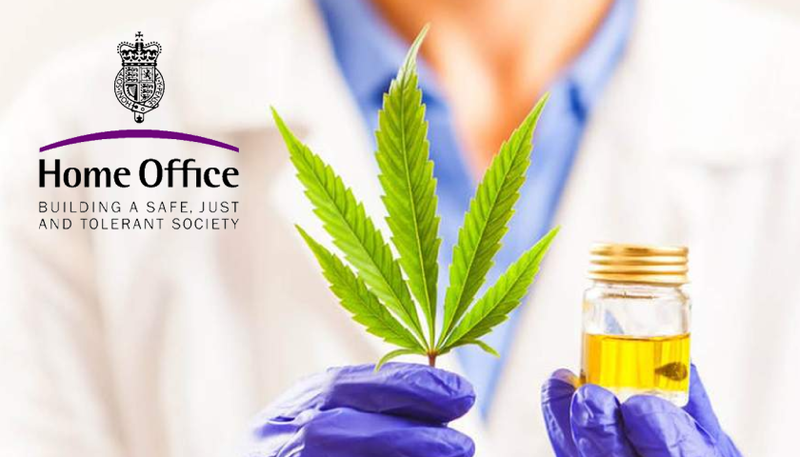 Patients who use cannabis are far more informed about its medicinal value than doctors are and will continue to educate them, something they shouldn’t have to do, when they get the opportunity. 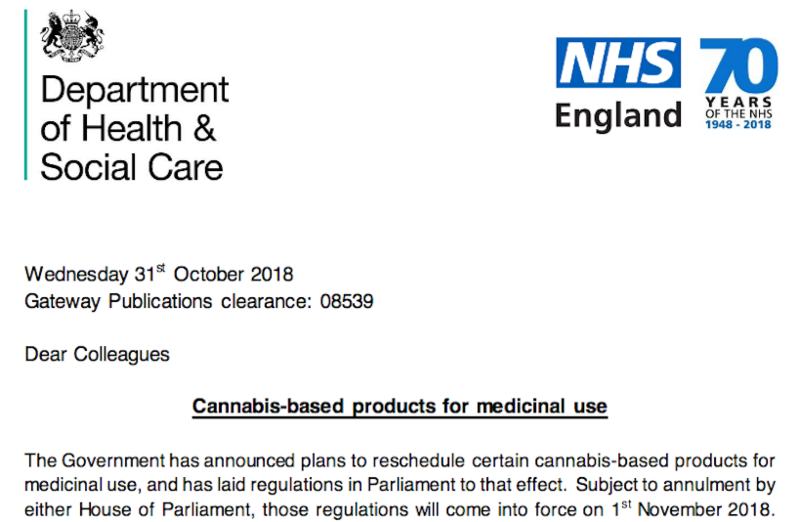 “What makes this particularly disgraceful is the fact that we were told by the government that chronic pain would be one of the few things specialists would be permitted to prescribe cannabis for. But these unethical specialists would rather keep pushing dangerously addictive drugs on behalf of their real paymasters, Big Pharma. Check out the comments from our Instagram followers and let us know what you think in the comments below.